The Ministry of Energy and Mineral Resources (MEMR), through its Directorate General of Electricity (DGE) and Directorate General of New Energy, Renewable Energy and Energy Conservation (EBTKE), is the primary government institution in the electricity and renewable energy sector. The MEMR/DGE/EBTKE acts as the regulator (including preparing the national general plan for electricity development (RUKN)) and issuer of business permits and concessions for renewable energy; ie, geothermal permits, stipulation of business areas (to sell electricity to end consumers) and electricity supply permits. The head of regional government (governor or regent/mayor, as applicable) has the authority to issue electricity supply permits for independent power producers (IPPs) whose business is limited to a certain province or regency. In addition to the above, the transmission and distribution of electricity for public interest in Indonesia are in practice still monopolised by PT PLN (Persero) (PLN), a state-owned company mandated by the Government of Indonesia (GoI) based on the Constitution to provide electricity to the Indonesian people. PLN is responsible for preparing the Long-Term Power Supply Business Plan (RUPTL) to be approved by the MEMR. All electricity business in Indonesia must be conducted in accordance with or based on the RUPTL and RUKN. IPPs in renewable energy-based power plants in Indonesia mostly if not all engage only in power generation activities with PLN as the offtaker of the electricity produced. These IPPs own and operate power generation facilities for a limited duration as stated in the power purchase agreement (PPA) with PLN. IPP projects with PLN as offtaker are developed under the build, own, operate and transfer (BOOT) scheme. Only a handful of power projects (with relatively small to medium-sized capacities) developed under build, operate and owned (BOO) schemes with PLN existed before the enactment of Minister of Energy and Mineral Resources Regulation No. 10 of 2017 concerning Principles of Power Purchase Agreements, as amended by Minister of Energy and Mineral Resources Regulation No. 49 of 2017 (MEMR Reg 49/2017) and Minister of Energy and Mineral Resources Regulation No. 10 of 2018 (MEMR Reg 10/2018) (collectively MEMR Reg 10/2017 as amended), which requires PPAs with PLN to be based on the BOOT scheme. In various applicable regulations, renewable energy is defined as an energy source produced from well-managed continuous energy resources, such as geothermal, wind, bioenergies, solar, water flow and plunge, as well as wave or tidal and ocean thermal energy conversion. Currently all renewable energy projects in Indonesia are developed under a BOOT scheme with PLN as the sole offtaker of the electricity produced. Nevertheless, by regulation it is possible for IPPs to build, own and sell the power or electricity produced by the renewable energy-based power plant to the end consumer (integrated IPPs). Integrated IPPs, however, can only sell electricity to end consumers within the concession area as covered in the Stipulation of Business Area issued by the MEMR. In respect of financing, it is common in Indonesia to have external financing for IPP projects, including those developed under the BOOT scheme with PLN. In relation to ‘environmental attributes’, there is a certification and registration mechanism applied on a voluntary basis for any activity to reduce greenhouse emissions locally called National Carbon Scheme (SKN) initiated by the National Council on Climate Change. In theory, the environmental attributes under the SKN could be stripped and traded or sold separately in a domestic market. However, as far as we understand currently the domestic market for carbon trading has not yet developed. Therefore, in practice it is unclear how the SKN can be traded. Note that the output or carbon credit under the SKN is not related to carbon credit under the Clean Development Mechanism under the Kyoto Protocol. The GoI and regional government provide fiscal and non-fiscal incentives to encourage the development of renewable energy. The incentives are provided for the development, management and utilisation of renewable energy, especially for small-scale projects that are located in remote areas, so that its economic value can compete with that of conventional energy. Further, under Presidential Regulation No. 4 of 2016 on Accelerating the Development of Electricity Infrastructure, as amended by Presidential Regulation No. 14 of 2017, the GoI may provide support by providing fiscal incentives, easy processing of licences and permits, subsidies and prioritisation of land procurement. Under Ministry of Finance Regulation No. 130/PMK.08/2016, the GoI provides two forms of government guarantee or government support: a Loan Guarantee and a Business Viability Guarantee Letter (BVGL). The Loan Guarantee is a guarantee provided by the GoI in relation to the construction of power plants by PLN, while a BVGL is a guarantee issued in favour of an IPP providing assurance to support PLN in connection with certain payment obligations of PLN to the IPP under the PPA. The fiscal facilities provided by the GoI for renewable energy business are income tax facilities (eg, a reduction of 30 per cent of net income for six years), escalated depreciation and amortisation, compensation for loss occurring for more than five years but not more than 10 years’ tax holiday), tax holiday (eg, exemption from tax from five to 10 years as of the commercial production and 50 per cent reduction of tax from outstanding income tax for two years), VAT exemption and exemption of import duty. To the best of our knowledge, to date the GoI has not yet enacted the carbon tax or a cap-and-trade system (we are not aware if the GoI is contemplating enacting the carbon tax or a cap-and-trade system). Regent (if the business area covers only one regency). There is no private entity or IPP that specialises in the transmission and distribution of renewable power in Indonesia. As mentioned previously, transmission and distribution facilities in Indonesia are currently monopolised by PLN (except for those located in an industrial area in which electricity is supplied by an integrated IPP within the industrial area), the operation of which is not limited to receiving and distributing power from renewable energy power plants, but also from fossil or non-renewable power plants. Based on verbal confirmation from MEMR officials, to date there are no pending or anticipated legislative proposals regarding renewable energy in Indonesia. Following the ratification of the Paris Agreement by virtue of Law No. 16 of 2016, there have been no further legislative proposals in furtherance of Law No. 16 of 2016. Prior to ratifying the Paris Agreement, the GoI attempted to raise awareness of the climate change issue by issuing the Minister of Environmental and Forestry Affairs Regulation No. P.39/Menlhk-Setjen/2015 on the environmental programme for 2015-2019, which sets out programmes to minimise or mitigate peatland fires and restore functions, to conserve energy in the industrial sector and to encourage the active participation of local communities in implementing actions of climate change mitigation and adaptation. The biggest drivers of change in the renewable energy markets in Indonesia are that the GoI wishes to spread electrification to rural or other undeveloped areas in Indonesia, and to diversify energy usage from fossil-based power plants to renewable energy in the hope of reducing the long-term cost that must be borne by GoI of providing electricity for all Indonesian people. In respect of pricing, the electricity price in Indonesia is heavily regulated between market participants. The electricity purchase price from power generation companies to PLN and from PLN or integrated IPPs to end consumers must be approved by the relevant authority (MEMR, Governor or Regent). Even the transmission lease price for the joint use of transmission and distribution facilities must be approved by the MEMR, Governor or Regent (as applicable). Therefore, it is unlikely there would be any dispute related to pricing. For any other dispute between renewable power market participants, the parties usually choose to settle disputes through arbitration. 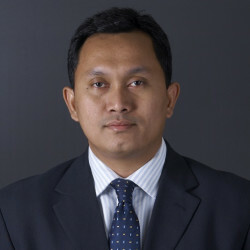 In respect to PPAs with PLN, PLN would normally opt to have the dispute settlement before the ICC with the seat of arbitration in Singapore. for tidal wave power plants (still at the pre-feasibility study stage), capacity contemplated is around 16 to 30MW. PLN as the offtaker and owner and operator of the grid is still quite reluctant to receive electricity from intermittent power plants due to their instability, particularly utility-scale renewable energy projects that need to be connected to the Java-Bali national grid. In Indonesia, hydropower is mostly developed by IPPs under the BOOT scheme with PLN. Only a handful of projects were developed under the BOO scheme with PLN as the offtaker; however, these projects were developed prior to the enactment of MEMR Regulation No. 10 of 2017 as amended and MEMR Regulation No. 50 of 2017 concerning the Utilisation of Renewable Energy Resources, which obliges the use of the BOOT scheme in a PPA with PLN. The types of hydropower contemplated under the relevant regulations in Indonesia are conventional (dam) and unconventional hydropower, pumped-storage hydropower, irrigation channels, river flow, waterfalls, wave and tidal and ocean thermal energy conversion. Generally, regulatory support for permitting and using or operating hydroelectric generation from conventional (dam) and unconventional hydropower, pumped-storage hydropower, irrigation channels, river flow and waterfalls is quite sufficient. However, there is still a lack of regulation and clarity with respect to the permitting of wave and tidal and ocean thermal energy conversion. With respect to decommissioning, there is no specific regulation on this and, given that power projects (including renewable projects) in Indonesia are mostly developed under the BOOT scheme with PLN, decommissioning occurs when the ownership of the plant is with PLN. Generally, Electricity Law and Government Regulation No. 14 of 2012 regarding Electricity Supply Activity as amended by Government Regulation No. 23 of 2014 allows for off-grid power projects and electricity supply activity conducted in an integrated manner, meaning that the project company is entitled to generate, transmit, distribute and sell power directly to the end user. However, most if not all current renewable projects in Indonesia are power generation projects which are connected to the PLN grid. To the best of our knowledge, there have been no distributed generation projects for renewable power plants developed in Indonesia. Current existing projects are utility-scale renewable projects (to be connected to the PLN grid). If distributed generation projects were to be developed in Indonesia, generally they would be subject to the same requirements as integrated IPPs. In general, Indonesian law has acknowledged the concept of the microgrid in a narrow context as regulated by the Decree of Minister of Energy and Mineral Resource No. 1122 K/30/MEM/2002 regarding Guidelines of Distributed Small-Scale Power Generation (MEMR Regulation 1122/2002). The microgrid is implied in the term of distributed small-scale power generation defined as small-scale renewable power generation with a maximum capacity amounting to 1MW or more power from installed power generation with a maximum capacity amounting to 1MW. Unfortunately, on 6 March 2018, MEMR issued MEMR Regulation 16 0f 2018, which revokes some of the MEMR Regulations, including but not limited to MEMR Regulation 1122/2002. Such revocation is the most significant legal obstacle to the development of microgrids. Currently there is no specific technology used or regulation concerning energy storage. To the best of our knowledge, at the moment there are no energy storage projects in Indonesia. Energy storage projects are yet to be regulated in Indonesia, and thus there has been no development of these types of projects. electricity distribution: maximum 95 per cent of foreign shareholding (this can be a maximum 100 per cent of foreign shareholding for the purpose of public private partnerships during the concession period). Foreign investment limited liability companies in Indonesia (or locally known as PT PMA) are generally treated equally as domestic investment or local limited liability companies. The rights and protections for PT PMA are principally regulated under Law No. 25 of 2007 concerning Capital Investment (Investment Law). The Investment Law is silent on protection against seizure and confiscation. However, in general, seizure and confiscation can only be conducted based upon a court decision. In respect of expropriation, the term used in the Investment Law is nationalisation or takeover of property rights of the investor. Under the Investment Law, the GoI shall not conduct nationalisation or take over the property rights of the investor unless by law. If the GoI does nationalise a PT PMA or acquire the property rights of the investor, the GoI must compensate the investor with an amount based on market prices. If the GoI and the investor fail to reach an agreement with respect to compensation, the settlement can be made through arbitration. The Investment Law provides that in the event of a dispute between the GoI and the foreign investor, the dispute can be resolved through international arbitration to be agreed by the parties. 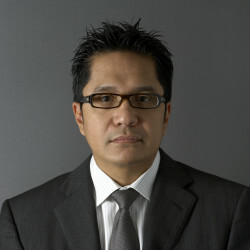 Note that Indonesia is a party to the International Centre for the Settlement of Investment Disputes (ICSID) Convention. Generally, the importation of foreign-manufactured equipment for the construction and operation of renewable energy projects is subject to import duties and VAT. However, IPPs (including for renewable energy projects) are usually entitled to obtain exemption from VAT and import duties as part of government incentives. However, these exemptions are not automatic and must be applied and approved by the GoI. As for directly or indirectly acquiring an existing renewable energy project, note that any transfer of shares in IPPs with the BOOT scheme with PLN is subject to restriction as set out under Minister of Energy and Mineral Resources Regulation No. 48 of 2017 concerning the Supervision of Business Activities in Energy and Mineral Resources Sector (MEMR Reg 48/2017). In this regard, MEMR Reg 48/2017 differentiates between transfers of shares for non-geothermal and geothermal IPPs. For non-geothermal IPPs, a written approval from PLN must be obtained for a transfer of shares prior to the Commercial Operation Date, with such transfers in any case only being allowed where the transfer is to an affiliated party whose shares are more than 90 per cent owned by an equity financier or sponsor of the IPP and is an Indonesian legal entity that carries out permanent and continuous business activities in Indonesia. (In other words, the transfer of shares to non-affiliated parties is not permitted even with approval from PLN). After the transfer of shares, the non-geothermal IPP must notify the MEMR no later than five business days from the date the MOLHR provided its receipt of notification of the change of shareholding. For geothermal-IPPs, MEMR Reg 48/2017 distinguishes between a public and private sale of the shares. MEMR Reg 48/2017 provides that geothermal IPPs may transfer shares on the stock exchange once the exploration phase is complete, subject to the minister’s approval prior to the initial public offering (IPO), or before the transfer of share ownership is recorded on the stock exchange. Our discussions with officials at the Directorate General of New Renewable Energy and Energy Conservation clarify that the minister’s approval will be required both prior to a geothermal IPP’s IPO, as well as before the transfer of ownership is recorded on the stock exchange for all secondary offerings and rights issuances. The MEMR will issue its approval or rejection to a geothermal IPP for the transfer of shares through public trade within 14 business days of receiving all the required documentation. In respect of the private sale of the geothermal IPPs shares, we understand the current applicable view from the Directorate General of New Renewable Energy and Energy Conservation is that a geo#173;thermal IPP can privately transfer its shares during the exploration phase and exploitation phase. Geothermal IPPs must notify the MEMR of the transfer within five business days from the date of providing notice to or obtaining approval from the MOLHR. Currently, the sole offtaker in Indonesia is PLN. However, we have no information on PLN’s credit rating grade. To support the payment obligation of the offtaker, or in this case PLN, the GoI through the Minister of Finance may issue a Business Viability Guarantee Letter for the benefit of the IPPs and the senior lenders of the project. The offtake arrangement between the IPP and PLN is in the form of a power purchase agreement. geothermal energy: direct appointment of the tender winner of the geothermal working area and the procurement of a Geothermal Permit from MEMR. It is to be noted that the direct selection process is different with competitive tenders since participants in direct selections are limited to those invited by PLN. To be invited by PLN for a direct selection process, pre-qualification is held by PLN in order to determine potential project sponsors to be listed in the Selected Providers (Daftar Penyedia Terseleksi (DPT)). This list will then be used by PLN to determine who is qualified to be invited to the direct selection process for certain renewable energy projects. Companies that have passed the process of pre-qualification and are listed in the DPT will enjoy the benefit of being able to participate in the upcoming direct selection process of renewable energy projects upon invitation from PLN. In respect of the electricity purchase price for IPP projects with PLN, the GoI does not determine the exact electricity purchase price or feed-in tariff, and instead provides benchmarks for electricity purchase prices based on the primary cost of power generation by PLN (Biaya Pokok Penyediaan Pembangkitan PLN (PLN BPP)) in local and national electricity systems. The PLN BPP is prepared by PLN annually to be further approved and published by the MEMR. The PLN BPP that is used to determine electricity purchase prices is that determined by the MEMR in the previous year. The final agreed electricity purchase price must be approved by the MEMR before PLN and the IPP sign the PPA. See question 24 on the major licences for IPPs in Indonesia. There is no specific regulation with respect to the decommissioning of a generation facility, although any activities (including decommissioning) that may have an impact on the environment are supervised by the Ministry of Environmental and Forestry Affairs and its regional offices. Given that most renewable power projects are based on the BOOT scheme, there is no decommissioning obligation on the IPP or project company under the PPA, as the power generation facilities will have been transferred to PLN (a state-owned enterprise) at the end of the term of the PPA. The primary structures for the financing of construction of renewable energy projects in Indonesia consist of equity financing and external financing. External financing is commonly obtained from commercial banks (local and international), the Export Credit Agency, multi#173;lateral financial institutions or supranational agencies such as ADB and World Bank group, as well as governmental agencies for investment promotion, such as the Japan Bank for International Cooperation. The financing of renewable energy projects in Indonesia usually covers the process from construction up until the operation of the project (see question 29). The development of renewable energy is on the increase as the GoI continues to endorse the utilisation of renewable energy resources in Indonesia, especially in the power sector. However, although Indonesia has enormous potential in renewable resources, the possibility that renewable energy will replace fossil fuels as the main resource in the power sector in the near future is unlikely, since fossil fuels continue to play a major role in energy production in Indonesia and will probably remain dominant in the future. Fossil-based energy still dominates in Indonesia, as these types of energy require relatively lower costs of construction and operation, which further leads to lower electricity purchase prices for PLN as the offtaker compared to renewable energy power plants. 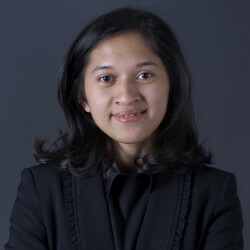 Other constraints in the development of renewable energy in Indonesia also arise from the limited experience and capacity of policy-makers and national financial systems, as well as capacity gaps in local financial sectors, inadequate supporting infrastructure and the lack of certainty and consistency in the prevailing regulations in relation to the utilisation of renewable energy resources. The other major problem regards the procurement of land, the process of which in practice is lengthy and imposes various issues; for example, if the ownership of the land to be procured is unclear or subject to overlapping claims, while settlement with the owner of the land, as well as permissions and licensing issues, can be problematic. As such, the development and progress of the renewable energy sector in Indonesia, although continuing to increase, are not yet significant and will probably not grow rapidly in the near future due to the aforementioned constraints.